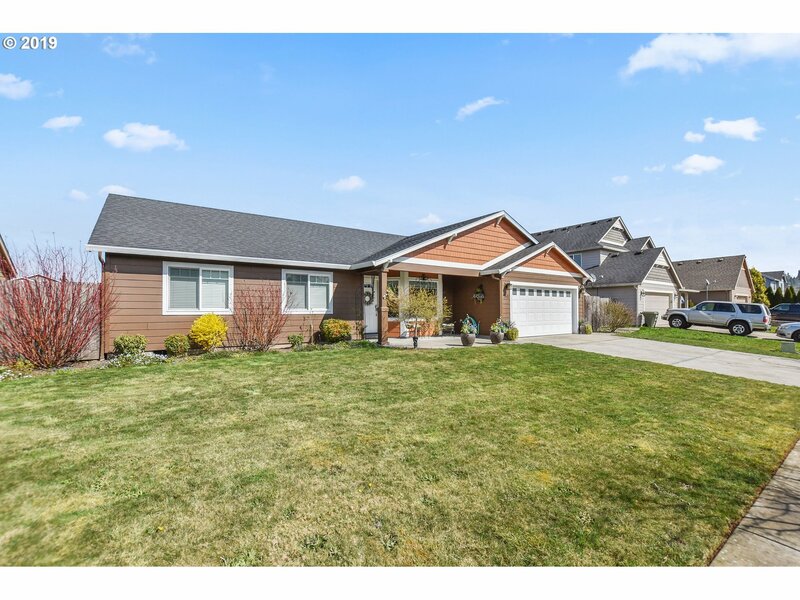 All Kelso homes currently listed for sale in Kelso as of 04/25/2019 are shown below. You can change the search criteria at any time by pressing the 'Change Search' button below. If you have any questions or you would like more information about any Kelso homes for sale or other Kelso real estate, please contact us and one of our knowledgeable Kelso REALTORS® would be pleased to assist you. "WOW! Beautiful View Home in Carrollton Crest Development. 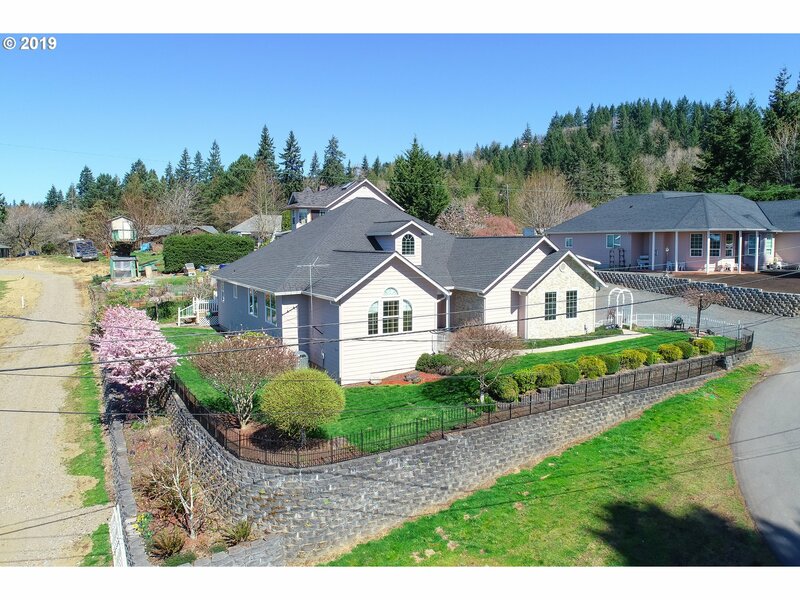 This home is on .61 acres to entertain and enjoy the picturesque setting and views of the Columbia River Valley. Grt Rm and Dining, 587 SF deck, views up & down the River. Large Rec Room with Wet Bar and Wine Cellar. Master Suite is phenomenal, and also opens onto the large deck 108 SF Walk-In Closet. 60 Spa Tub, Shower and dual sinks in Master. Large Open Kitchen!" "Custom built one owner home w/ priceless views! Only 40mins to Portland! 2017 solar panels installed, timber land on 5 acres, large pool offers an auto close cover & is perfect for entertaining. Entryway is marble floor, hardwoods shine throughout & vaulted ceilings allow for natural light. Private indoor hot tub & sauna in the bonus rm. The master suite offers river views, a soaking tub & large W/I closet! 50yr concrete tile roof!" "Columbia River View, Gated Community of Custom homes. Interior Completed, Deck and Landscaping to be completed as weather permits. This beautiful home sits on a 1.43 acre lot in the enviable Carrolton Crest. Awesome Master Suite with exceptional River View, walk-in closet and wonderful couples bath with double sinks, shower and separate spa tub. Kitchen - Great Room make a Wonderful Entertainment Area. Finished Basement with Bonus Room." 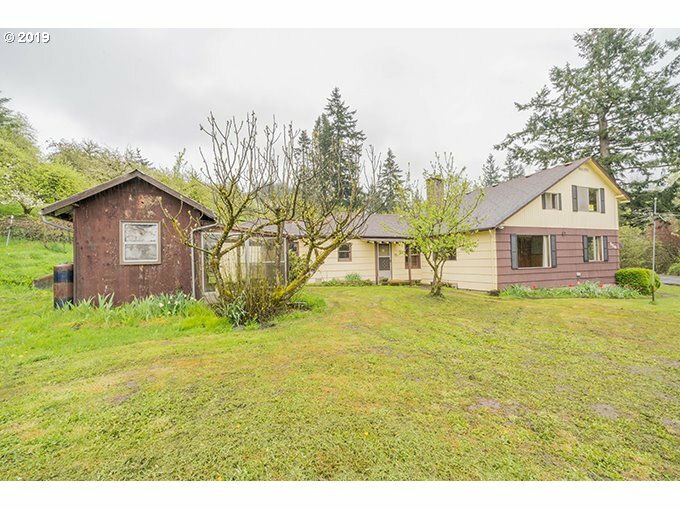 "Gorgeous 4 bdrm+den+bonus contemporary home w/ relaxing wrap around porch and expansive decking overlooks Kalama River Valley and Oregon Hills. Its flowing floorplan offers its kitchen w/ quartz counters, dbl ovens and pantry; formal dining room w/ French doors to deck and spacious family room with built-in cabinets. Unwind in the sunroom with heated tile floors or in front of one of three fireplaces. RV prkg and yard! Simply fabulous!" "ONE OF a KIND! Gorgeous custom home nestled on 10 acres in Rose Valley Lovely floor plan boasts of 3 levels with breathtaking views. Formal living & dining, kitchen with granite, dacor appliances, eating bar & nook. Enjoy media, game & work out rooms. Each bedroom has own bath & Master on the main! Awesome sunsets from trex deck. Bring Horses! Fully fenced with 4 stall custom barn with loft Must see too much to list! 15 Minutes to I-5." "Luxurious residence with stunning City, River & Territorial views nestled on the Kelso hillside! Pristine home boasting 4,282 SF, 3 bdrms, 4 bthrms, mstr suite w/spacious bthrm, walk-in closet & FR doors to viewing deck, frml living rm w/FP & wall of windows, frml dining rm, elegeant entry w/mica slate floor, gourmet kitchen w/slab granite counter tops & eating nook, den/office, 9ft ceilings throughout, family rm, home gym, 3car garage." 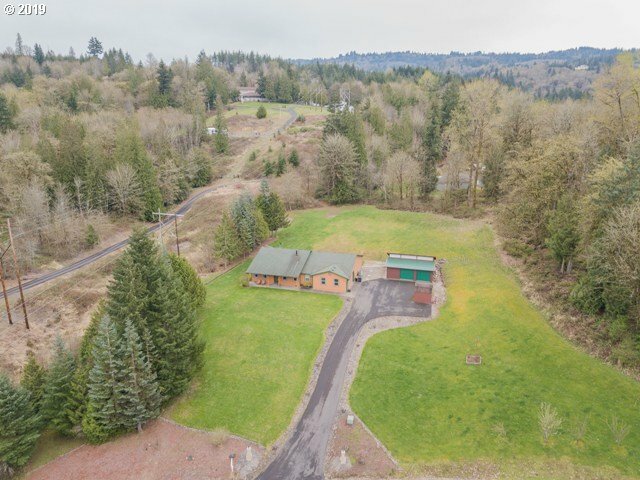 "Exquisite Custom Home sitting atop Scenic Kelso Bluff.3.75 Acres w/Airport,Columbia & Cowlitz River Views.4,446 Sq.Ft.~4 Bedrooms~3.5 Baths.Custom Floor to Ceiling Windows~Formal Dining Room w/Bistro Wet Bar~Granite Kitchen w/Eating Nook~Great Room w/Custom Built-in Entertainment,Gas Fireplace & more Windows w/Breathtaking Views.Main Floor Master Suite w/Turret Sitting Room.Upper Bedrooms w/private baths.Upper Cat Walk w/2nd Story Deck." "Dream Home Alert!! This development is a hidden gem with amazing Sunsets, River and Mountain views! Just an 11 min drive off I-5 exit 36, come see this elegant 2014 built single story home situated on over 5 acres of land with a 1,728 shop. Home boasts quartz countertops, CAT 5 wiring, Hot tub, covered impervious patio, cathedral master ceilings, vltd great room w/ propane fireplace, alder cabinets, hardwood flooring and much more!" "Newly Remodeled 3 bedroom 2.25 bath on almost 5 acres,Quiet deadend road.Completely updated inside & out.Open floor plan.All New: Siding,Windows,100% waterproof vinyl plank floors and carpets,Heat pump, WaterHeater.Remodeled kitchen with quartz counter tops and wood cabinets.Remodeled bathrooms with marble counter tops and wood cabinets.Master bedroom w/great view & deck access.Restored Horse Barn. Perfect property for horses;"
"Fantastic country home on manicured five acres! Ranch house with two bay shop, massive patio cover for kids to play year around. Master-suite, laundry room, territorial views! 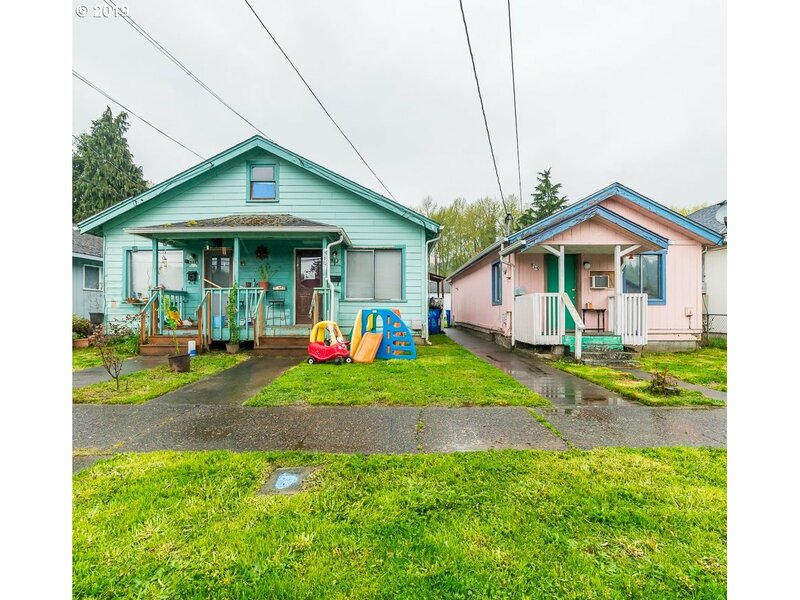 Five years new with spacious paved parking, garden shed. Home features vaulted ceilings and woodstove heating for the energy conscious. Don't miss the necessities like pantry and heat pump. A slice of heaven!" 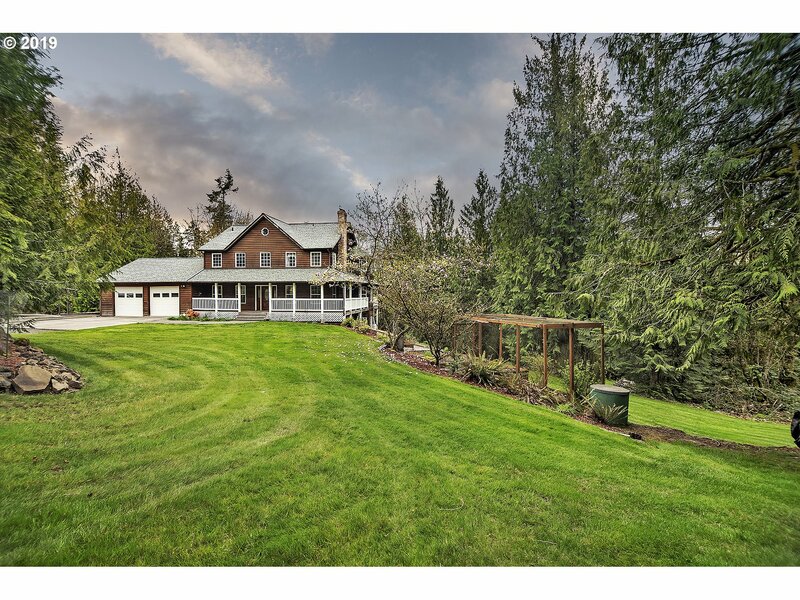 "Wonderful solid home nestled on over 8 acres of beautiful property. Offering lrg Kitchen w/ nook & dining room. Wonderful spacious living rm w/ fireplace. Main level den & bath. 2nd level Master suite w/lovely tile shower & jetted tub. 3 additional bedrooms The basement is 90% finished ready for your final touches, many options there! Wrap around deck & 16x32 shop. Large shed 12x18 on lower level of property. Room for garden, Rv parking"
"Looking for acreage with views? Check out this scenic 5 acre property with tons of potential. Use our perfect home plans through Newrock Homes or bring your own builder. Home offers 9 ft ceilings, Forced-Air Heat/AC, caraftsman interior trim, quartz countertops, cedar deck & more! Well installed and property perc approved. Surrounded by other custom homes." 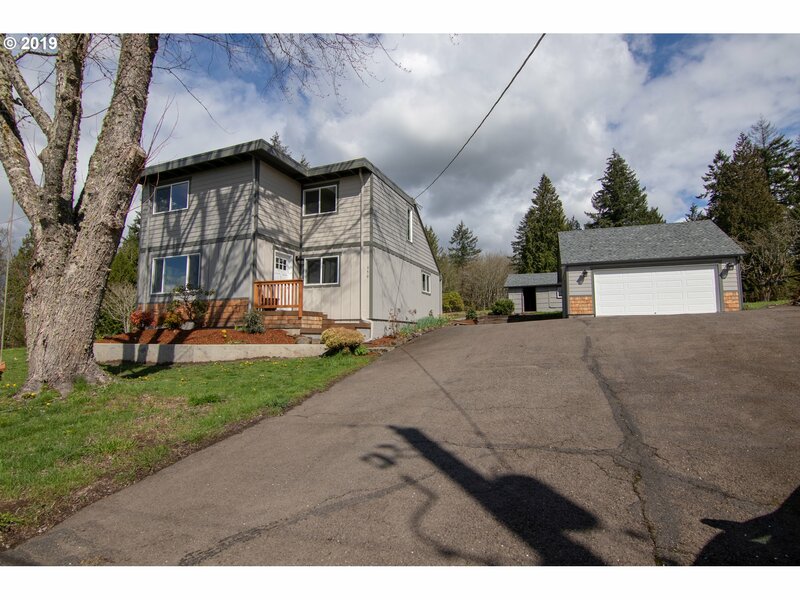 "Exquisite 1 level view home on the Kelso hillside! Pristine 2,172SF, 3 bd, 2 bth, lrg frml living rm, frml dining rm, gourmet kitchen w/custom oak cabinets, eating space & center island, family rm w/Fr Doors to private deck, mstr suite w/walk-in closet & elegeant bth, hardwood floors & custom ceiling throughout. 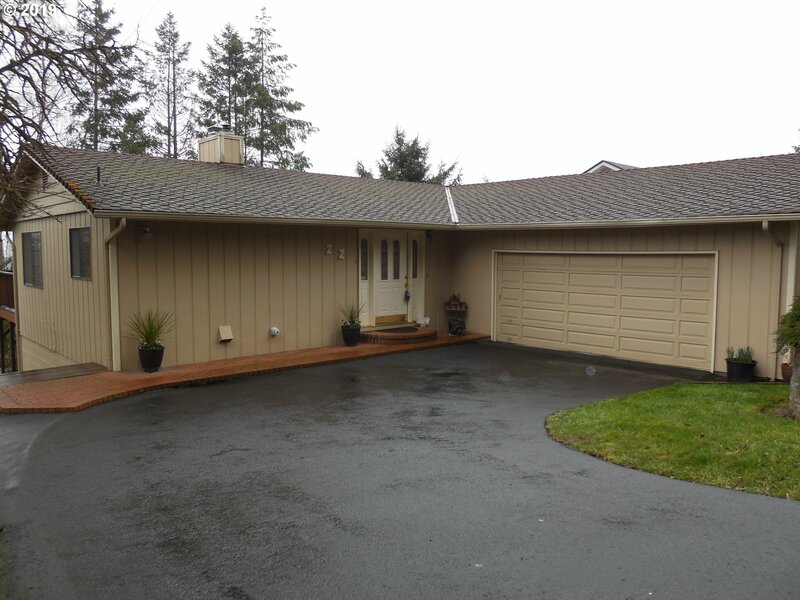 604SF 2 car att garage/624 SF det garage, fully fenced manicured yard w/mature landscaping & stone terracing." "Spectacular views from the top of Rose Valley! Over 31 acres. Several buildable (possible) lots on a gradual hillside. All lots would have incredible views of Rose Valley, the rivers, and partial city views as well. Fix the existing house up and live in it while you build your dream home. Pictures do not do this property justice. Schedule a showing today." "Amazing secl. 1/ac view lot in City limits, but with country feel.. Beautifully landscaped with 1,000sf flagstone patio, bubbling fountains, gazebo & outdoor furniture incl., Great rm with laminate flooring, granite counters, & cozy master suite w/beautiful view of the City. Full water filtration system, heat pump/furnace, and heat pump water heater.. also incl. sprinkler system for lawn and garden area. Paved driveway." "Wonderfully maintained home in Butler Acres on a 1/4 acre lot, at the end of a quiet road. It is beautifully landscaped & has a feeling of privacy with mature trees & lovely views. Home has had many updates over time with vinyl windows, gas furnace/central air & five year old roof. The open kitchen with sitting room or eating space opens to a large deck overlooking the lovely back yard and territorial view. 2 car garage & extra parking"
"Country living while being 1 mile from all the attractions! Over 2000 SQ ft with 6 bedrooms on a large lot. Big kitchen that leads to dining room and nook with a cute farm sink in utility room. Private setting with a green house with irrigation ready to go. Newer floor and interior paint, make it yours!" "Can't beat location! 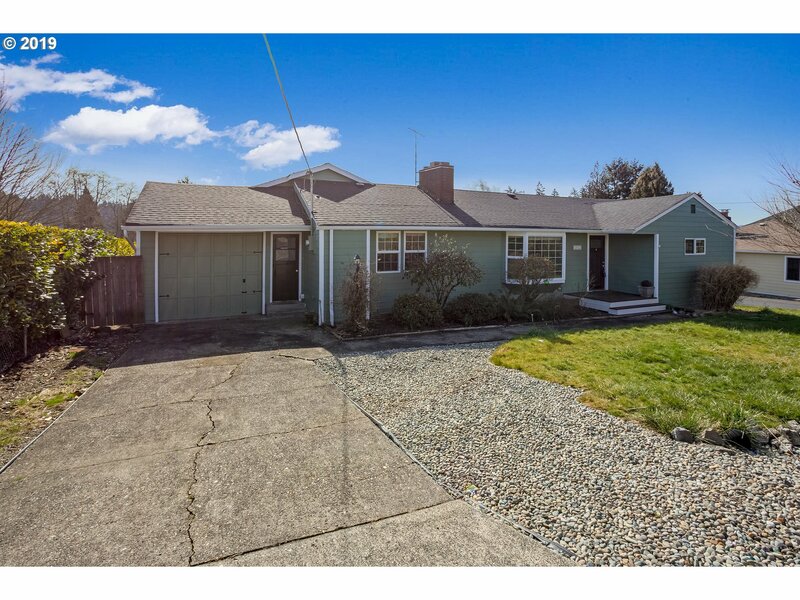 Daylight ranch-3bd/1.75 baths w/flexible living spaces. Marble floor entry is warmed by new gas insert in main floor living room or use as formal dining. Large windows provide natural light and city/hillside views. Kitchen updated w/tile floors & granite counter tops w/eating space. Master offers large closets and slider to redwood deck stubbed for gas. Large family room w/gas insert is perfect for game night." "Beautiful single story home in great neighborhood. Quick I-5 access and roughly 40 minutes to Vancouver/Portland. Home offers vaulted ceilings, large pantry, bay window in living, Master ensuite, covered front and back patios, fenced back yard, plumbed for gas (BBQ), and sprinkler system. Floor plan is wonderful for entertaining both indoors and out. This home won't last, make an appointment to view it today!" "This home is located in a beautiful Kelso neighborhood! This updated single story home features 4Beds/1.5Baths. Home features an updated open kitchen with new tile flooring. Beautiful hardwood floors throughout the main living areas. Grand over sized sliding glass doors located in the family room overlook the expansive yard! The back yard features a large fire pit, fruit trees, gardening space, and even room for chickens! Large deck for"
"Located off Pleasant Hill Road, this home features over 1900 sq. ft. The spacious, open living/kitchen area features a fireplace and sliders to private deck, dining room & bath on main level. The daylight basement has a wonderful master bedroom with sitting area, fireplace and walk-in closet. Double car garage and shed. Tons of storage & private setting. Make your appointment today!" "Just over 5 acres and 2340 SF Manufactured home. Nice open floor plan. Living/dining areas. Family room. Master suite. Covered deck in front and large deck in back. Firepit area. Plenty of room for garage/shop/barn(old garage of no value). Pasture area(hasn't been used for a few years). Home needs some TLC to shine. Needs a roof. Lots of opportunity & equity awaits." "Investor Alert!! Three units on one tax lot! 813A, 813B and 815. Buyer to do their due diligence on sqft and all other information. Multifamily for the price of single family!" "Looking for your summer stay-cation spot?This home has an in-ground pool with a sand filtration system - just in time for the hot summer.Entertain away in this spacious 3 bed home with a poolside cabana and 2 living rooms. New roof and fresh interior/exterior paint.Kitchen upgrades include granite counters with new soft close cabinets. New insulation by PUD, woodstove and vinyl widows will help with the heating costs.Yard fully fenced"